What does it mean to "mix something up"? Find out in today's article! "This girl looks completely mixed up." Verb Dive is coming soon! 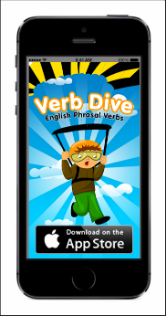 Sign up to find out when our new phrasal verb iphone app is ready! Examples: "My friend mixed up the directions and got lost." or " I got completely mixed up about the date of our meeting." "We got really mixed up about the right direction to take." Examples: "To make the meal you have to put all of the ingredients together and mix them up." "We mixed all of the ingredients up in a big pot and cooked them."